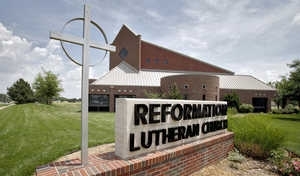 The late abortion doctor George Tiller was remembered on Saturday in Wichita with his funeral service taking place at Reformation Lutheran Church. It was the same church that Tiller was gunned down at on Sunday, May 31 while attending church as an usher. There were over 1,000 people in attendance to remember Tiller with 300 of the people in an overflow room. There were also supporters and protesters outside of the church that started making their way there as early as 7 a.m. for the 10 a.m. service. Many members of the family shared memories about Tiller. His wife Jeanne drew a standing ovation after concluding the service with the singing of “The Lord’s Prayer.” Scott Roeder, 51, of Kansas City, Mo., has been charged with first-degree murder in the shooting.